Sir Elihu Lauterpacht had a distinguished career in international law, combining teaching and practice on an extensive scale. He was called to the Bar in 1950, became a QC in 1970, and has practiced extensively before the International Court of Justice and other international jurisdictions, as well as before the English courts. He was ad hoc judge in the Bosnia case before the International Court, has been an arbitrator in NAFTA, ICSID and other arbitrations, the President of the East African Market Tribunal, and a member of the Panel of the UN Compensation Commission, the World Bank and Asian Development Bank Administrative Tribunals and of the Eritrea-Ethiopia Boundary Commission. Sir Elihu's appearances before the International Court of Justice includes the Nottebohm case in 1953, the North Sea Continental Shelf cases, the Constitution of the Maritime Safety Committee, the Barcelona Traction case, the Nuclear Tests cases, the Qatar-Bahrain case and the Sipadan and Ligitan case. In 1953 Sir Elihu became a Fellow of Trinity College, Cambridge and was successively Lecturer and Reader in International Law in the University, being appointed an Honorary Professor of International Law in 1994. 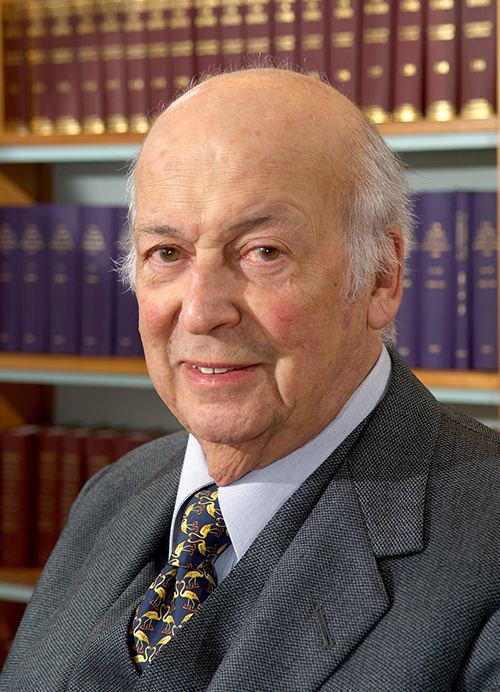 He left a permanent mark on international law through his work as author, editor and innovator. In 1956 he started the British Practice in International Law, the forerunner of similar publications in a number of other countries, from which there subsequently evolved in other hands the United Kingdom Materials on International Law. He became editor of the International Law Reports in 1960, and inaugurated the Iran-United States Claims Tribunal Reports in 1983 and the ICSID Reports in 1993. He lectured at the Hague Academy of International Law and is a member of the Institut de Droit International. He remained actively involved in practice, particularly in investment and territorial disputes, as well as in the work of the Centre as its Director Emeritus until his death in February 2017. He was knighted in 1996.